Being in charge of a child’s culinary education ranks among my favorite responsibilities. I’m excited (and yes, relieved) that Anker is a curious, enthusiastic eater, with an enviable appreciation for vegetables, exotic flavors, even spicy foods. While I’m sure nature has as much influence on the outcome as the nurturing, I do take some credit for my son’s optimistic appetite: I’ve managed to make him a big part of the cooking and baking, without at the same time shoving it—or anything else—down his throat. 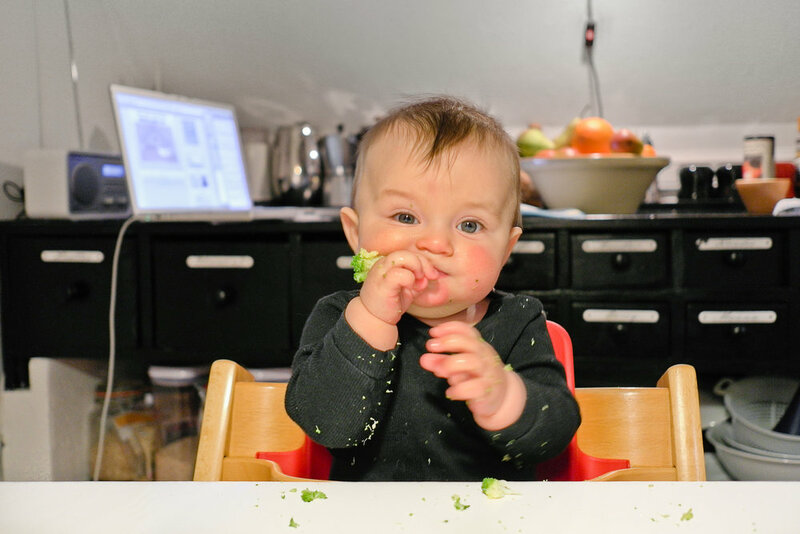 We started down this innovative path when Anker was just a baby trying his very first foods. Instead of spoon-feeding him the typical combo of grain-based cereals and carrot purée, I would hand him a steamed and cooled broccoli spear. The philosophy behind this approach is known as baby-led weaning and it is often practiced by the same sling-wearing, co-sleeping set that swears by Ask Dr. Sears and The Continuum Concept by Jean Liedloff. In three years I’ve come to some crucial conclusions concerning the child’s emerging experience of food. They include using water to quench thirst, not employing food as a bargaining chip or reward, and respecting the child’s right to refuse. (It helps, though, to remind your refuser that even if you don’t want something at this instant, you’re not actually required to commit to not liking it for eternity: you’re allowed to change your mind and want it at another time.) I also abstain from that ubiquitous practice of praising or rewarding a child’s consumption of food; instead, I place the emphasis on the child’s enjoyment. (Not good job, honey, you finished your breakfast but rather I’m so glad you enjoyed your breakfast.) Or this one: when a child is tired and hungry, there is a subtle but seismic difference between offering candy as appeasement and deploying that same treat as a tool that helps balance crashing blood sugar levels. Of course I recommend talking openly about these sorts of things, even with a toddler. Because what could be more interesting to a kid than learning about the actual reasons for doing things? What can possibly be better than figuring out just how the world works? Or more useful in the future? 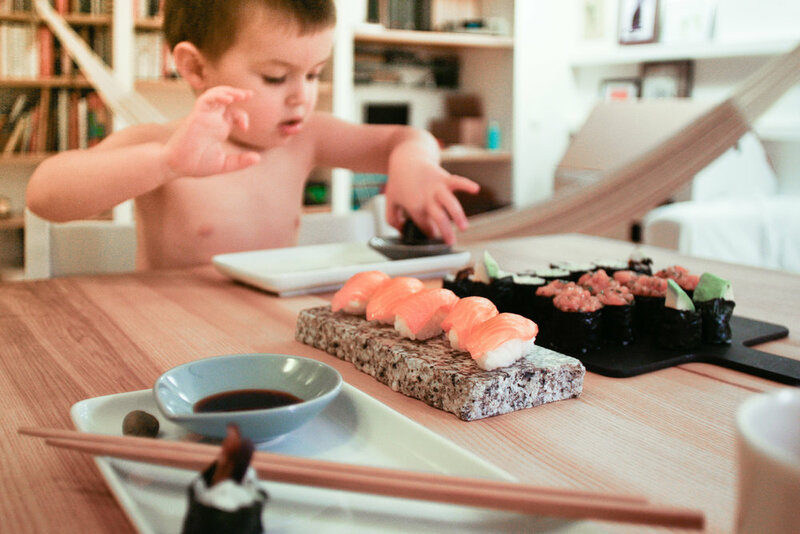 Eating with Anker is more than the sum of the care that goes into feeding my son and the pleasure I take from being in the kitchen. 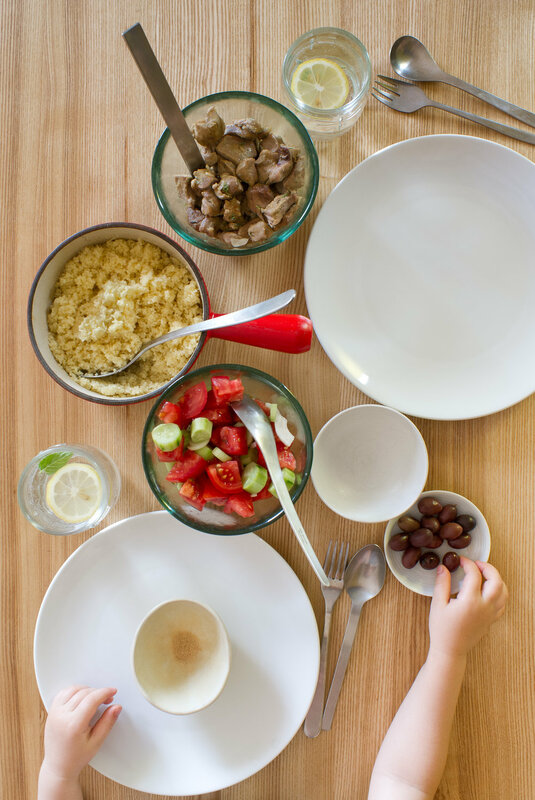 More useful than most play and more fun than other chores, making food together may well be our favorite kind of quality time. Especially when the food is delicious—and that playing with it is allowed.